Blue is mostly associated with the sky and the sea. A lot of sayings like ‘out of the blue’ or ‘into the blue’ are based on these associations: blue as the unknown, distant, unexpected and mysterious color. A survey from 2009 suggests that most people in the US and Europe prefer blue to all other colors. 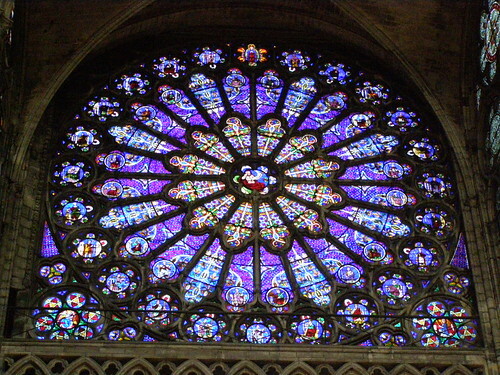 In western art history blue gained significance in the early Middle Ages between 1130 – 1140 when the Basilica Saint Denis in Paris was rebuilt with stained glass windows colored with cobalt blue. ‘Cobalt’ became known as the ‘bleu de Saint Denis’. Also in the 12th century the fashion for the Virgin Mary changed to blue robes instead of black, grey or green, a good choice for the ‘queen of heaven’. As a result blue became a color for divinity, purity and virtue. The cause for this change was the discovery of ultramarine, which was made from lapis lazuli in a very difficult and long process. It was the most expensive color and therefore became the favorite color for royalty, showing wealth and prestige. When cheaper alternatives were available the sacred blue became navy blue – used by authorities like the police, bankers or officials. According to psychological research, people today connect the color blue with: masculine, competence, high quality and corporate. 1. 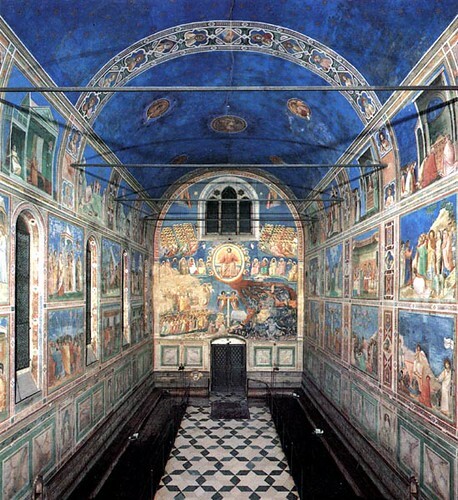 Giotto di Bondone–the first Renaissance painter who used ultramarine (Scrovegni Chapel, Padua, completed around 1305). 2. 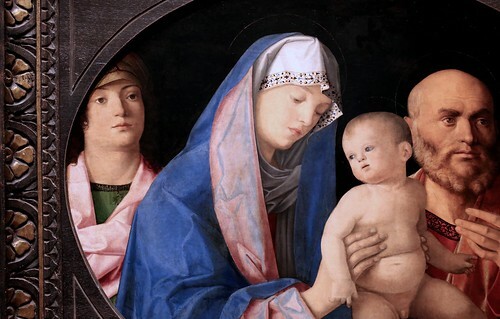 Giovanni Bellini used ultramarine for his Madonna paintings. 3. Claude Monet used blue pigments that were invented in the 19th century, like cobalt blue, cerulean blue and French ultramarine (‘Waterloo Bridge’, 1903). 4. 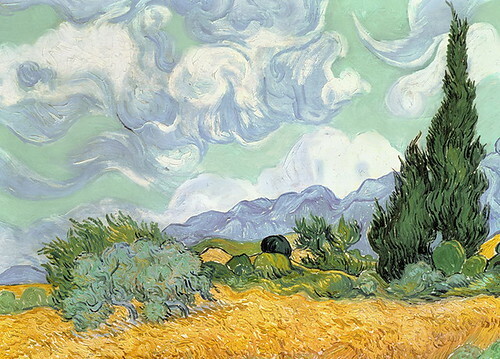 Van Gogh had a preference for cobalt blue and ultramarine (‘Wheat field with cypresses’, 1889). 5. 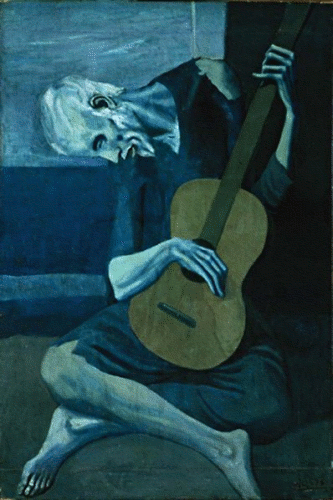 Picasso reduced his color scheme to blue in his Blue Period (‘The old guitarist’, 1903). 6. 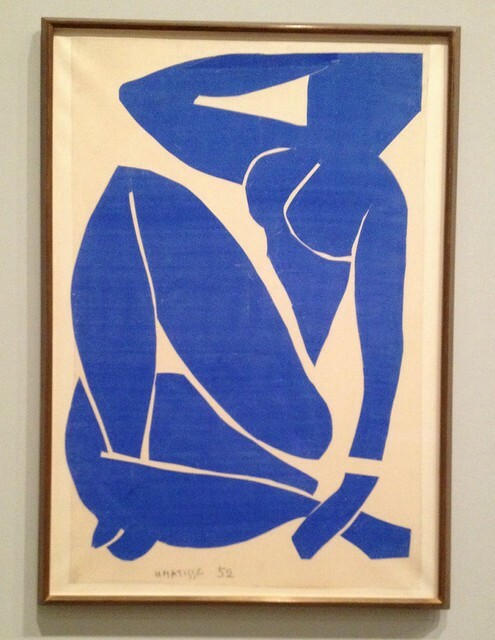 The artist’s group ‘Der blaue Reiter’ made ‘blue’ part of their identity. Here Franz Marc‘s ‘Blue Horse’, 1911. 8. 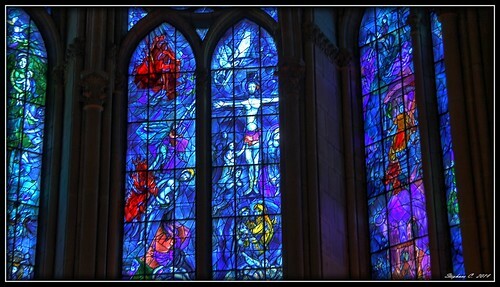 Marc Chagall chose blue as the main color for his stained windows of Reims (completed 1974). 9. Yves Klein registered the rights for his own blue (Pantone 286). 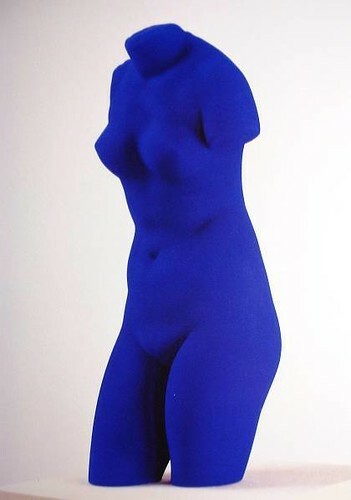 Here his Blue Torso, 1962. 10. Light artist James Turrell illuminates spaces with blue (‘Enzo Blue’, 1968).